The latest results of an ambitious, nationally representative voter preferences study – conducted by the Centre for Social Development in Africa (CSDA) – shows a swing back towards the ANC as leadership changes reignites support. This is the second wave of the three-year study on socio-economic rights and democracy, and follows on from October 2018 when the CSDA released the first findings into what drives voter preferences in South Africa (SA). The overall goal was to uncover how matters like socio-economic vs democratic rights, perceptions of government and corruption, and issues of governance influence voter preference. Socio-economic rights refer to income, jobs, housing and social grants among others while democratic are the right to vote, access to courts and freedom of expression. The study also uses robust statistical and regression models to discover the weight that voters give these factors and the predictive power they may have on determining who votes for whom. With the 2019 elections now just a month away, the results of the second wave – conducted in Q4 2018 and launched today – offer a timely glimpse into how perceptions of the prevailing national issues and power shifts in the African National Congress (ANC) can change hearts and minds. 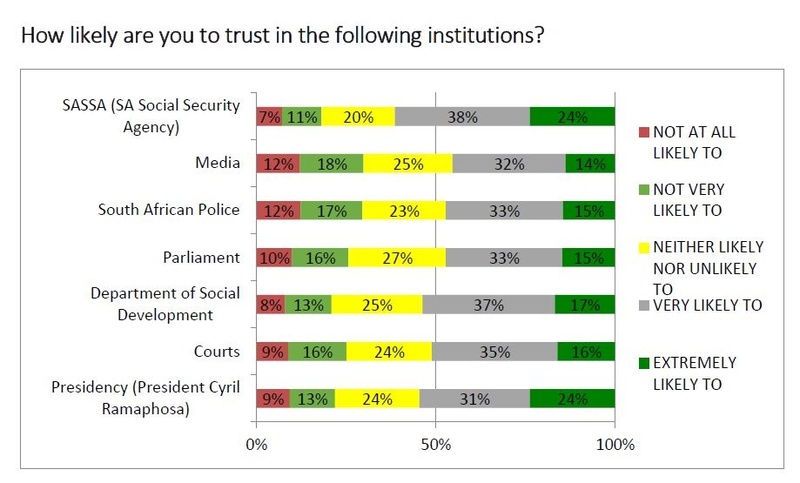 - 'Trust in the Presidency', for example, improved since wave 1, with 55% of respondents saying they trust the Presidency under Cyril Ramaphosa, compared to 26% under former president Jacob Zuma. - Tough economic times may also be a considerable factor: The latest research reveals a reversal in priority between rights in theory and needs in practice, specifically that 58,5% of respondents rank socio-economic well-being as more important (up from 44,6% previously), while 26,7% considered democratic rights to be more important (down from 42,9% previously). For wave 2, the sample included 3431 respondents collected in proportion to the country's urban–rural split – and, ultimately, is considered reliably representative of over 38 million potential voters. In wave 2, most respondents said the ANC would get their vote this year (56%, up from 53% in wave 1), followed by the Democratic Alliance (DA) (13%, a dramatic downslide from 22% previously) and the Economic Freedom Fighters (EFF) (9%, up from 6% previously). The ANC and DA support figures are lower than the predictions provided in other recently published polls with the support for the EFF being higher than indicated. This is because only respondents who actually selected a party were included in our analysis at the end of 2018. The most common reason provided for their party of choice was that they believed the party would bring a better life (65%), followed by the party brought freedom and democracy to South Africa (62%) and they trust the party (62%). Compared to wave 1, trust in SASSA, the police service, and the Department of Social Development have all increased, while trust in the media and the courts have – worryingly – declined. The most significant change herein is the 'trust in the Presidency' factor which climbed by 29 percentage points since Ramaphosa succeeded Zuma. Despite the positivity about government institutions, the vast majority of respondents (72%) held the view that corruption had increased in the previous year, down from 76% in wave 1 where respondents believed that corruption had increased between 2014 and 2017. Around a third (30%) of respondents received a social grant. Interestingly, 48% of all respondents said that one reason they voted for a particular party was "because it pays social grants and I am afraid that another party will stop social grants". This increased steeply from 14,6% in wave 1, and suggests (as it did previously) that it is not the grant provision itself that encourages a vote for the incumbent party, but fear of its removal should another party come to power. 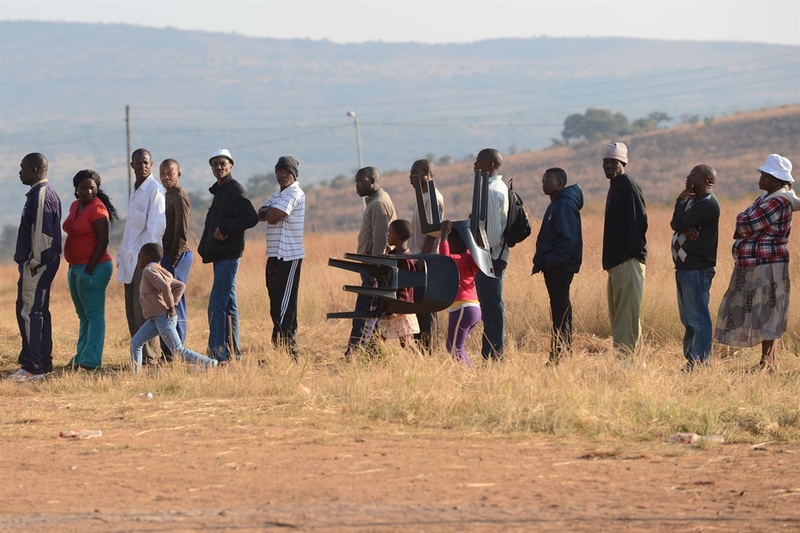 This suggests a strong policy preference for social grants for this group of potential voters. 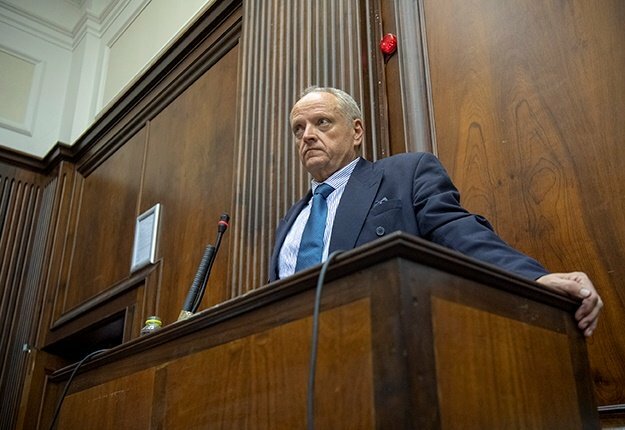 One key difference from the first to second wave studies was the inclusion of a question about land expropriation – an issue that bubbled back onto the forefront of the national agenda in recent years. To this, 34% of respondents said they support land expropriation without compensation, and 46% support land expropriation with compensation, while 20% said they did not know. The CDSA put all the wave 2 findings through various statistical and logistic regression tests to assess their applicability and influence (the details of which are found in the full PDF report). It is clear from this study that the leadership changes in the governing party appears to have bolstered trust in the president, and emerged as a significant predictor of voting behaviour. To understand the shift, the CSDA constructed two models for analysis, to control for the change in leadership. When Ramaphosa is removed from the comparison, governance or trust in institutions is no longer a predictor of voter preference. However, when inserted as a factor on its own and independent of trust in institutions, trust in the Presidency emerged as the single most important predictor of voter preference for the governing party. In the first wave, which was conducted at the height of the leadership contestation in the ANC, party loyalty was not a predictor of voter choice. However, it emerged as a predictor in the 2018 survey. Given this, it appears that trust in President Ramaphosa may have rekindled loyalty to the party that brought freedom and democracy to South Africa. - Leila Patel is professor and DST/NRF Research Chair in Welfare and Social Development. Yolanda Sadie is professor of Politics at the University of Johannesburg. Megan Bryer is researcher at the Centre for Social Development in Africa at the University of Johannesburg.